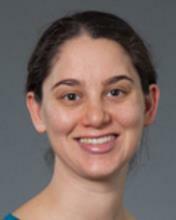 Dr. Wasserstein is an NIH-funded clinical researcher whose work focuses on evaluating the safety and effectiveness of novel treatments for patients with inborn errors of metabolism. Dr. Kaskel is an internationally acclaimed researcher and clinician in children’s kidney disease, and an expert in pediatric hypertension. Dr. Kaskel has broad experience in network and local media interviews. 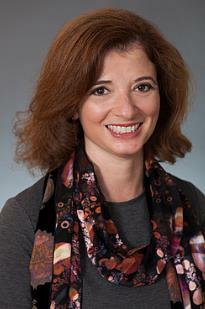 Dr. Marion is widely known as an expert in genetics and congenital disorders. He was the founder of Montefiore's Williams Syndrome Center, the Montefiore/Einstein Center for Cardiogenetics, and the Center for Congenital Disorders. He has wide experience with national media. Dr. Alderman is a nationally recognized expert in adolescent health and all medical concerns relating to the teenage years. Her academic interests center on health screening and quality improvement in the delivery of adolescent health care. Dr. Briggs’ work concentrates on bringing together mental health specialists with primary care pediatrics, to focus on prevention, early childhood mental health and development, and parent-child relationships. She has spearheaded the formation of the most comprehensive integrated behavioral health system in the nation for children through the HealthySteps Program and the Pediatric Behavioral Health Integration Program (BHIP) at Montefiore. Dr. Rastogi’s is an expert in childhood asthma and the relationship between obesity and asthma. Dr. Rieder is a board-certified specialist in adolescent medicine and the founder and director of the Bronx Nutrition and Fitness Initiative for Teens (B’N Fit) weight management program. Dr. Rieder’s academic interests include adolescent obesity and its complications, in particular, ovarian hyperandrogenism or polycystic ovary syndrome. Dr. Rudolph's research focus is the evaluation, diagnosis and treatment of fatty liver disease in children - a serious public health problem particularly in urban, Hispanic youth. Dr. Rudolph has developed a comprehensive diagnostic, research and treatment program to address this problem. 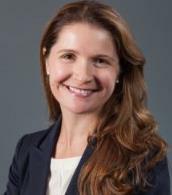 Dr. Molly Broder is a general pediatrician with expertise in a wide variety of common childhood ailments and can comment on frequent parental concerns. Dr. Dodson is an expert in a wide variety of areas pertaining to adolescent health, including early puberty, childhood abuse and neglect and transgender youth.